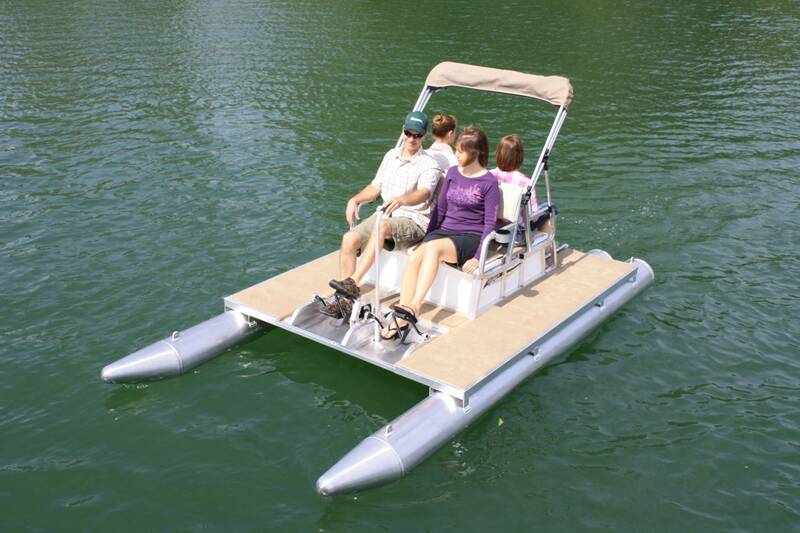 PaddleKing PK4400 four passenger pontoon pedal boat - commercial grade. With top and seat cushions. PaddleKing builds these heavy duty pedal boats for many state parks as rental units, so these little boats are tough. Made to last for generations, the aluminum frame is strong, and the aluminum tubes are sealed, so these will never get water logged like those plastic paddle boats. Vinyl covered decks are standard. 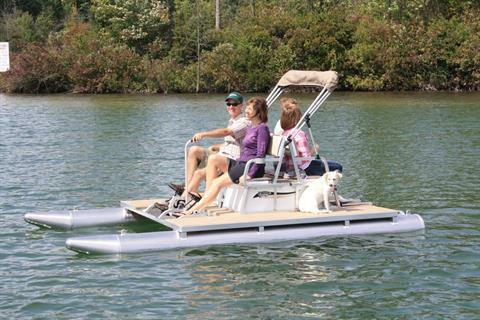 Options include Bimini tops, plush seat cushions, and Mooring covers. We stock both two passenger and four passenger models. 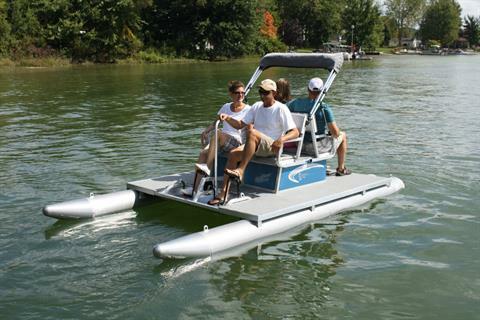 Cruise or fish from these stable small boats, and enjoy good exercise in the beautiful outdoors. 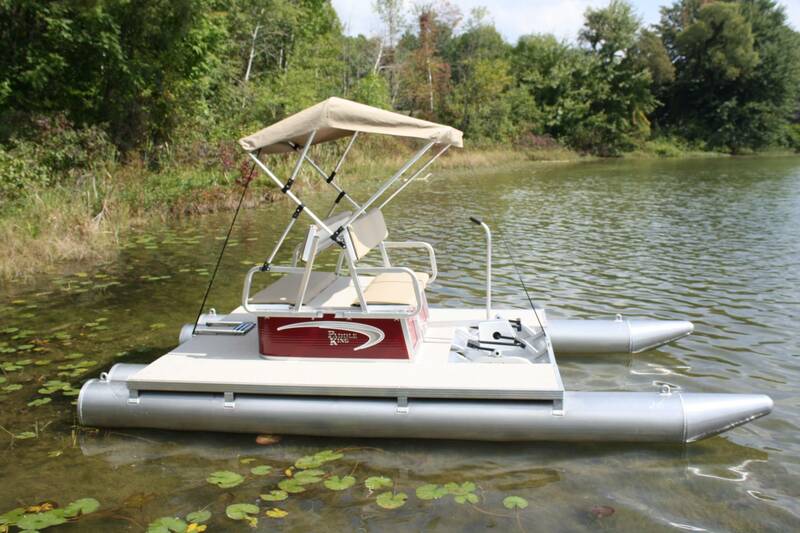 We order our stock PK4400s with two sets of seat cushions, and the canopy top. Our price includes these & freight from Michigan. Length 12’ 10” – width 83” – weight 340 lbs. – 4 pontoons underneath – carry capacity 830 lbs.